"Here’s a wee review of your delicious new dairy free range! 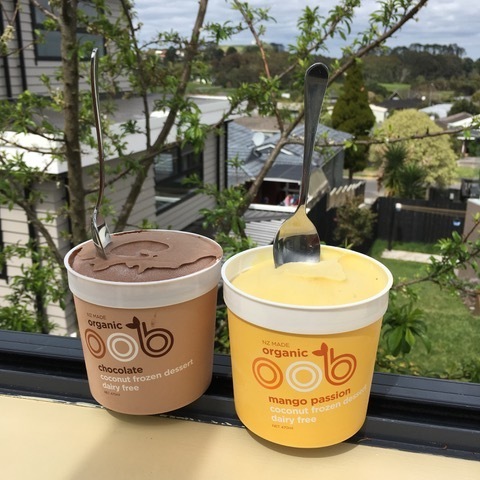 Both the mango passion and chocolate coconut frozen desserts are just heavenly! Being intolerant of dairy I find it really hard to find something to satisfy my sweet cravings like ice-cream does, and this is definitely the closest I’ve found in NZ. The chocolate is smooth, rich and creamy just like you’d expect of a dairy ice-cream (and without the guilt! ), and the mango passion is fresh, fruity and with a hint of coconut that makes it all the yummier. They’re even the perfect size to eat with a spoon right out of the tub I can’t wait for them to hit the shelves! Thank you." Newer PostTaste Tester Review! Coconut Frozen Dessert. Older PostFAQ: how do you keep pests off organic fruit if you don't use pesticides?